If there was still any lingering doubt that the Cleveland Browns need to fix the ongoing problem at quarterback before they can begin to have the kind of “sustained success” promised by Jimmy Haslam and Joe Banner, then this weekend’s NFL playoff games should have helped removed those thoughts. And if there is anyone who still thinks the answer to the quarterback conundrum is currently on the Browns roster, they need to look no further than a few hours south on I-71 to see the hazard of not having the right quarterback. The Cincinnati Bengals lost a playoff game for the third consecutive year – the Browns currently have more playoff wins than the Bengals since 1991 and every NFL team has won a playoff game since the Bengals last won one – due in large part because of the play of quarterback Andy Dalton. The third-year signal caller turned the ball over three times in the loss and is now 0-3 in the playoffs in his career. In those three playoff games, Dalton has thrown one touchdown pass and six interceptions, and the Bengals have scored a total of six second-half points. Dalton’s performance shows the danger of having a quarterback who is just good enough to keep your team from getting a legitimately good quarterback. Which brings us to the Browns. For all the euphoria over the nine quarters of football that Brian Hoyer played at quarterback this season, the reality is that Hoyer is a 28-year-old who has thrown a total of 192 passes in his five-year NFL career. His 82.6 quarterback rating puts him in the company of such quarterbacks as Ryan Fitzpatrick, Matt Cassel and Mike Glennon. Anyone willing to take a chance on winning a championship with that trio? It’s been believed for months that the Browns have been biding their time until they can select a quarterback in the first round of the upcoming NFL Draft, either using their pick at No. 4 or creating a package of their multiple picks to move up in the draft (something we are hesitant about, given all the holes the team still has to fill). There should be no shortage of quarterbacks for the Browns to choose from – including Teddy Bridgewater, Tajh Boyd, Derek Carr, Blake Bortles and Johnny Manziel (if he declares for the draft as expected) – but what if the quarterback the Browns covet is not available at No. 4? After we watched tape in northern California, (Walsh) thought for a few moments and told me he favored Manning, but said if it were his pack, he’d take a different position player with the first choice then snag … a quarterback in the second round. Now if there is anything that current Browns general manager Mike Lombardi loves as much as talking about what he learned from working with Bill Belichick, it is talking about what he learned from working with Bill Walsh. We’re certainly getting ahead of ourselves here; the Browns currently don’t have a head coach let alone a solid strategy for a draft that is still four months away. But if the Browns were to gamble on finding a quarterback later in the draft (or even next year) then those two first-round picks could go a long way to fixing some big roster problems – although not the biggest one. And if they choose poorly? 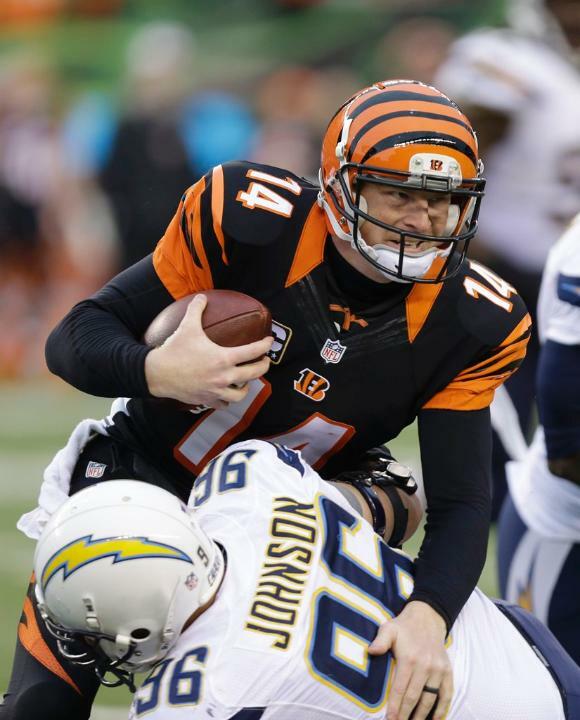 Well, just ask Bengal fans how much they love Andy Dalton right now. I really don’t think Manziel’s game will translate to the NFl, and all the top prospects have warts. Bridgewater looks the best on paper, but it’s highly doubtful the Browns are in position to get him, so I can totally see the top 3 picks going QB, then Banner and Lombardi grabbing Clowney for their new 4-3 defense (can’t have too many pass rushers), then ???? with the Colts pick (watch them win the SB now, LOL) and taking Mettenberger with pick #36. I don’t know, can you run Malzahn’s offense with just one ACL?